Annual membership fees are due now for the 2018 year. If you will be renewing your RPAL in the next few months, or plan to purchase restricted firearms, renew your membership now to avoid processing delays. One Open House for membership renewals is scheduled for Saturday January 20, 2018 from 11 am to 2 pm. Payment in cash or personal cheque. Fees remain unchanged. 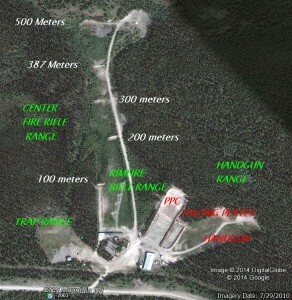 Payment (cash or cheque) can also be received at the clubhouse on Monday and Wednesday evenings when the Indoor Range is in use, or by mail with a personal cheque to WRPC, Box 30078 Whitehorse, Yukon Y1A 5M2.